Historical records show that around 1657, the area was used for farming activities by the Free Burghers. Several windmills were erected between 1780-1800 along the Black River, including the Oude Molen (the original millstone which remains as part of the present landscape at The Millstone Restaurant in Oude Molen Eco-Village), and the Nieuwe Molen, which stands proudly, but isolated from public view, on the Alexandra Hospital grounds. Portions of Valkenberg farm were sold in 1827, to establish the Royal Observatory, now the South African Astronomical Observatory (SAAO). In 1881, Sir William Porter bequeathed funds to establish a reformatory, which became a mental asylum (1899), and eventually Valkenberg Psychiactric Hospital. 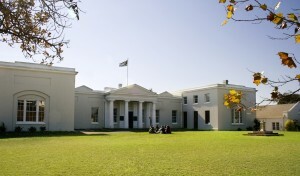 Some key activities which took place on the TRUP landscape include King Cestwayo being kept captive as a state guest at Oude Molen Farmstead while awaiting transfer to England to meet Queen Victoria (18885), and a military hospital being developed where Alexandra institution is today (1901). Maitland Garden Village was developed in the 1930’s, based on Ebenezer Howard’s Planning Principles, and large areas of the TRUP wetland were filled in in order to accommodate the major freeway developments of the Black River and Liesbeek Parkways during the 1950’s.